Atrial fibrillation (often called AF or afib) is a problem with the heart rhythm. Instead of a normal steady heartbeat, the heartbeat is fast and irregular. This type of irregular heartbeat is a common type of heart rhythm problem (arrhythmia). It's caused by a problem with your heart's electrical system. 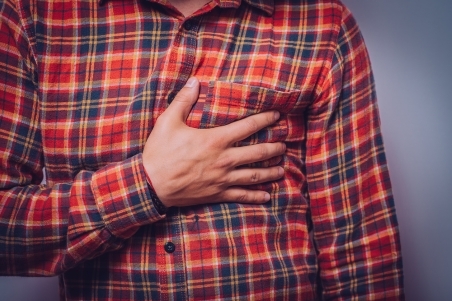 If you have AF, you may feel your heart racing or extra beats (palpitations). You may also feel short of breath, dizzy or weak. If you have any of these symptoms, make an appointment with your GP. If you have AF, you're more at risk of having a stroke. This is because the AF can cause blood clots to form in your heart. The blood clots can break off and travel to your brain, which can cause a stroke. blood thinning medications (called anticoagulants) to reduce your chance of having a stroke. Cardioversion is a treatment option for some people with atrial fibrillation. This is when an electric shock is applied to your chest to restore your heart rhythm. It's done under a general anaesthetic. See Medicines for your heart for more information about commonly used medications for heart problems. What else can I do to manage AF? Medications are useful for treating atrial fibrillation and for reducing your chances of having a stroke. But you can also make lifestyle changes to help with AF and your general health. These include losing weight, stopping smoking, keeping active, and reducing your alcohol intake. A leaflet about the symptoms, causes and treatment for atrial fibrillation. What can I do for my atrial fibrillation? A leaflet about lifestyle changes you can make to reduce the amount of atrial fibrillation you have. When should I seek medical help with atrial fibrillation? A leaflet about when you should seek medical help if you experience atrial fibrillation. A leaflet about blood thinning medicines (anticoagulants) for atrial fibrillation. A leaflet about cardioversion. This is when an electric shock is applied to the chest to make the heart rhythm normal. It's done under a brief general anaesthetic. A resource with a thorough description of AF, and how it's treated. Written by HealthInfo clinical advisers. Endorsed by clinical director, Cardiology, Canterbury DHB. Last reviewed May 2018. Last updated November 2018.